It turns out the Japanese supercar did not want to miss to use hybrids technology. This is the specification of hybrid engines installed on the latest Acura NSX, the drivetrain is capable of spraying the power up to 500 hp. The latest Acura NSX was using a hybrid technology that consisted with a V6 engine with a capacity of 3,493 cc plus 3 units electric motors. Wherein one electric motor unit is in the back and placed between the engine and transmission system that capable of spewing power of 47 hp. While the two other units placed on both its front wheels and each is capable of generating power by 37 hp. 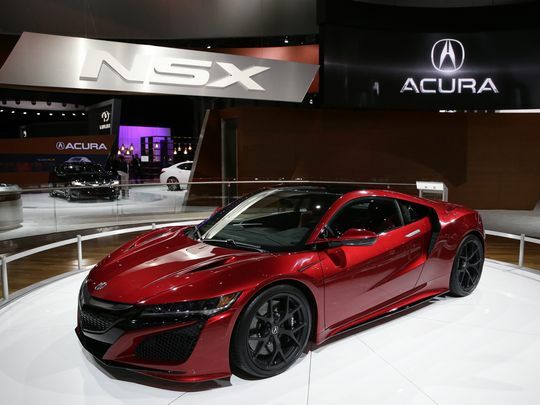 Interestingly, in addition to boost the power, hybrid system on Acura NSX is also used to improve the car's handling. That is why, this car uses two electric motors on the two front wheels. Both motors installed independently on each axle and has a function like the vectoring brake. The difference, the vectoring brake slows rotating speed on one of the wheels, but the electric motor in this car it will increase the rotating speed on one of the wheels. 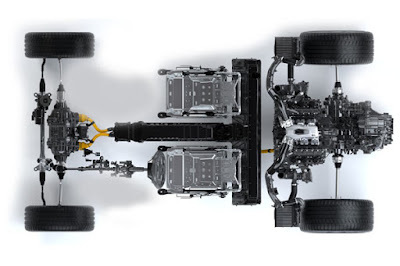 Means, the strength of the electric motors in the NSX allow the super handling all-wheel drive setup to be running even at low vehicle and engine speeds. The Japanese brand also touting the car’s lightweight multi-material body and spaceframe as revolutionary and Acura claims that the car is 'by far the most rigid in its competitive set.' The space frame is made primarily from aluminum and ultra-high-strength steel which is anchored by a carbon fiber floor.